As many as four persons selling Ganja were arrested by the CEN (Cyber Economic Narcotic) cell near Gangwadi. 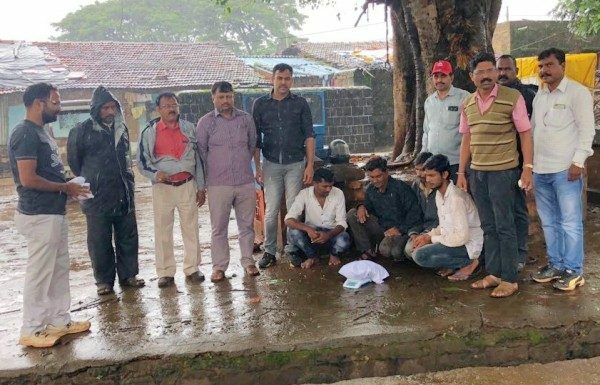 The CEN team lead by Shri Gaddekar apprehended 4 persons moving around suspiciously near the Durga Devi Mandir Gangwadi. The special police cell arrested the 4, namely Suraj Londhe, Nikhab Peerjade, Tabrez Nargund, Shadaf Peerjade. 1500 grams of Ganja along with cash was seized from them. This is the for the first time that a case has been registered by the CEN cell.